Game booster merupakan sebuah aplikasi yang dapat meningkatkan perfoma komputer kita ketika bermain game. Safe, Secure, and Free. 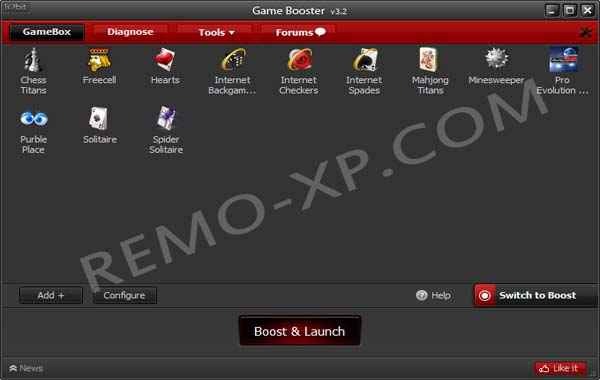 Game Booster does not overclock yourhardware, does not change your Windows Registry and system settings. 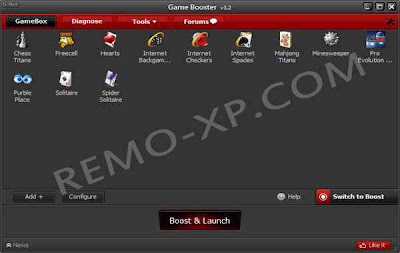 Game Booster is 100% freeware, without any virus, adware, and spyware.